Cam Vu, Ph.D., Director of Development, working closely with PTV’s executive director and board of directors, provides leadership in the coordination and implementation of PTV’s philanthropic programs on behalf of the agency’s missions and goals. She has a B.A. in Ethnic Studies from UC San Diego and received a Ph.D. from the University of Southern California in American Studies and Ethnicity. 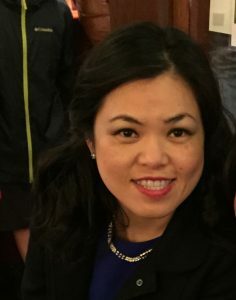 Prior to joining PTV, she led fundraising efforts at AACI, a community health and wellness organization in the Bay Area, and worked in development at the USC Sol Price School of Public Policy. She has also taught american cultures and literature as an adjunct professor at Loyola Marymount University and De Anza College.